This 4-way adjustable shock features independent rebound and compression adjustments at both low and high shock speeds. 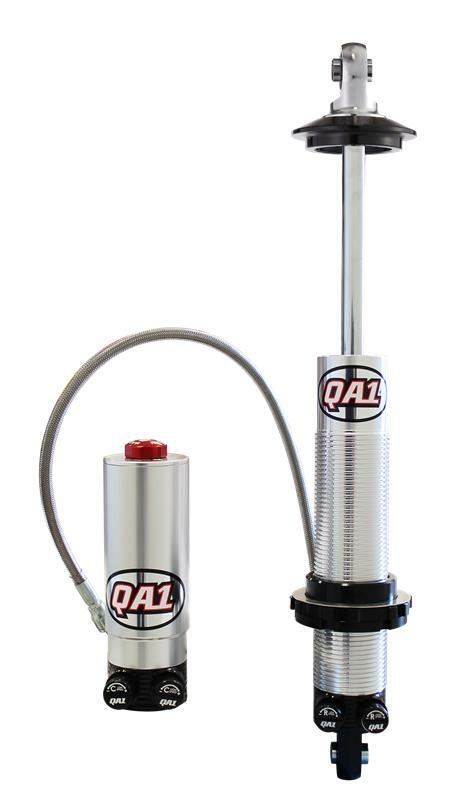 Now you can fine tune your suspension for low shock speed situations, such as corner entry and exit, and high shock speed situations, such as hitting bumps or curbs. These adjustments give you maximum tunability, keep the tires on the ground and improve control. Made of high quality aluminum, the coil-over Quad Adjust shock has two rebound adjustment knobs for high and low shock speeds. The two compression adjustment knobs are located on the attached reservoir body and adjust both high and low shock speeds. All four knobs offer independent adjustability. The shock and reservoir are connected with a PTFE lined braided steel hose that swivels four directions on the bodies for flexible mounting. Also, a Schrader valve on the reservoir allows for on-the-fly gas pressure adjustments.